Euroscicon Ltd offers all the participants from all over the Globe to attend “6th Global Summit on Food Conference” during Dec 5-6 2019 at Baltimore USA. It includes prompt Keynote presentations, Oral presentations (Speaker forum and Young research forum), Poster presentations, and Exhibitions. This is going to be one of the most notable events of the year. It will bring all the Scientists, Professors and Delegates together for a remarkable success. The Theme of the Conference is "Theme". The main objective is to bring all the leading academic scientists, researchers and research scholars together to exchange and share their experiences and research results about all the aspects of Food. It also provides the premier interdisciplinary forum for researchers, practitioners and educators to present and discuss the most recent innovations, trends, and concerns, practical challenges encountered and the solutions adopted in the field of Food. The conference program will cover a wide variety of topics relevant to the Food Science, including: Food Safety, Food Laws and Regulations, various technologies in Food Industry, Food Toxicology, Food Security Food Sceince Development, Food packaging, Nutritional Health, Food Regulations, Food Composition Food Safety and Hygiene and so on. 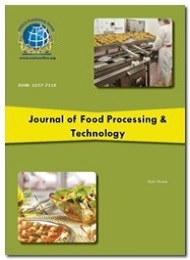 Food Conference 2019 could be an exceptional event that brings along a novel and International mixture of Food analysis techniques and technology, leading universities and pathology analysis establishments creating the conference an ideal platform to share expertise, foster collaborations across trade and world, and assess rising technologies across the world. World-renowned speakers, the most recent techniques, tactics, and the newest updates in Food fields are hallmarks of this conference. Food Conference is a public health priority; millions of people fall ill every year and many die as a result of eating unsafe food. Serious outbreaks of foodborne disease have been documented on every continent in the past decade, and in many countries rates of illnesses are increasing significantly. Food Fraud is a global issue concerning the Food Regulation worldwide for the public health and safety perspective on moral and social grounds. International Conference on Food focused on learning about Food Health/Food Safety and its advances; this is your best opportunity to reach best Researchers, Food technicians and the largest assemblage of participants from the Food Community. Our Food Conference planned keeping in mind with best scientific sessions, exhibitions, poster presentations, oral presentations, workshops, symposiums, luncheons, and great keynotes. World-renowned speakers, the most recent techniques, developments and the newest updates in Food Safety are hallmarks of our conference. Food safety is a scientific discipline describing handling, preparation, and storage of food in ways that prevent food-borne illness. The occurrence of two or more cases of a similar illnesses resulting from the ingestion of a common food is known as a food-borne disease outbreak. Food Conference will explore the advances and new technological developments in the field of Food Science. This conference brings all together international experts, researchers from both the academia and industries all across the world to exchange the knowledge, experience and research innovations in all the areas of food streams and build a world Food Scientist & Nutritionist meet. The food testing market is projected to reach $4.07 billion by 2019. 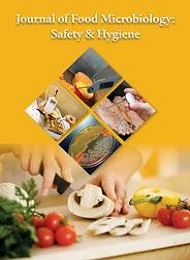 Pathogens have been the leading cause of foodborne poisoning or illness. Foodborne pathogens have been a cause of a large number of diseases worldwide and more so in developing countries. This has a major economic impact. Germany dominated the market and is projected to be the fastest growing European food Science testing market followed by United Kingdom. Globally the Food Safety testing market was esteemed $12.01 Billion in 2016 and it is projected to grow at a 7.60% (CAGR) from 2017 and it is expected to reach $18.54 Billion in 2022. Mainly the food safety testing is targeted on Pathogens, Toxins, GMOs and Pesticides. In North America the food Science market valued at $7.4 million in 2017 and rise to 6.9% (CAGR) from 2018-2025. In Europe, food safety policy has been emphasized by the contributed efforts from Control Laboratories (CLs), National Reference Laboratories (NRLs), and EU Reference Laboratories (EURLs). These authorities have a vital aim of protecting consumer health by assuring the quality of the food supply chain. Food safety policies integrated in Europe follow the strategy of "from farm to fork." European market is a mature market and has several regulatory bodies to regulate stringently the use of food flavors and enhancers, thereby taking care of the consumers of the nations. Germany constitutes the major share having 24% followed by the UK (23%), Spain (10%), Netherland (5%) and Italy (9%). $ 823 million US dollar is the market size by value of the synthetic flavor and $ 755.65 million US dollar is the market size by value of the natural in the year 2014. These provide different standard certifications and awards after training to all levels of sectors engaged with agriculture, aquaculture, food and beverage industries, catering, retail, and import and export businesses worldwide. Horse meat scandal in UK and milk and many more food scandals in China have created more importance to food Science. 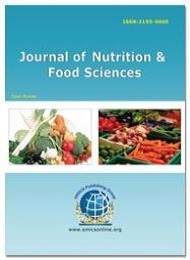 Food Conference 2019 aims to bring together leading Academic scientists, NGO professionals, Food Agronomists, Food Policy makers and regulators, Researchers and Research scholars to exchange and share their experiences and research results; about all aspects of Food Safety, Nutrition, Public Health and Economic regulations. It also provides the premier interdisciplinary and multidisciplinary forum for researchers, practitioners and educators to present and discuss the most recent innovations, trends, and concerns, practical challenges encountered and the solutions adopted in the field of Food Safety, Nutrition, Public Health and Global Economics.